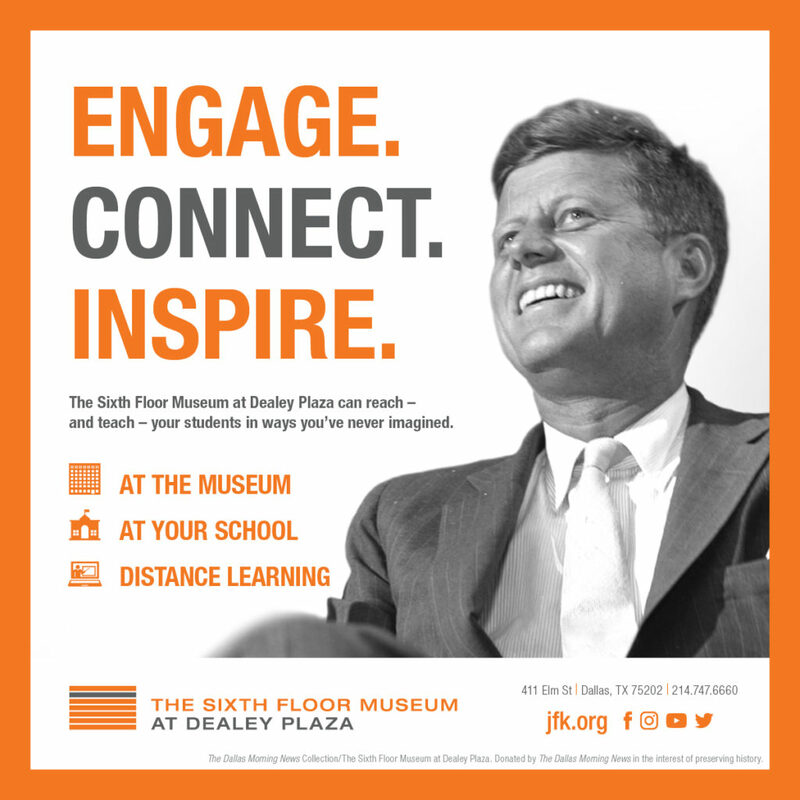 At The Sixth Floor Museum at Dealey Plaza, we strive to engage, connect, and inspire students with education programs that take place at the Museum, at individual schools and through distance learning that connects classrooms across the globe. President John F. Kennedy was an advocate for many important causes like volunteerism and civil rights that still affect our society and continue to be taught in schools today. 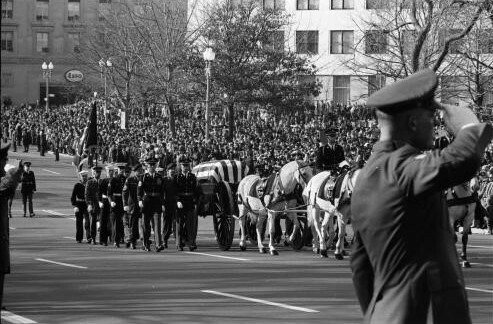 Far more than the story of a 1963 presidential assassination, these programs help students engage with history, connect with the past, and become inspired to make a difference in the future. Engagement is of paramount importance in effective 21st century education. As a museum educator, my goal is to engage students in learning about our collections, then show them how these objects tell a story. A record, magazine, or photograph might remind them of something they remember from a grandparent’s house and spark a conversation. Before they know it, they’ve learned something and they are asking questions about museum careers! When you can engage physically with a historic object, you’re often able to emotionally connect to the person who used it. One example is our program “History Detectives: 1960s Time Capsules,” where students unpack a time capsule based on a real person’s story and containing actual 1960s-era objects and documents from the hands-on Education Collection. Students develop understanding of the individual and their unique experience from that time, while increasing the critical thinking skills required of a historian. By engaging students with the stories of the people who made the history, we help them segue into the overall concept of history. They learn that history is not about memorizing dates and isolated facts; it’s examining the people and their choices that resulted in historical events. In this hyper-connected world, a successful program entices students to slow down long enough to engage with people and their stories from the past, and then connect the lessons they learn to the present and future. In the Museum’s “Living History” programs, Curator and Oral Historian Stephen Fagin interviews a guest with memories of the 1960s in front of a group of students. The students are able to connect emotionally to that history, and then they’re given the chance to ask the guest questions – what they wore or what kind of car they drove back in 1963 – however they best connect with that person’s story, and then they can become an oral historian for a short while. Students who attended a “Living History” program said they felt like they had time-traveled back to the 1960s! Making connections spans all ages, from students to teachers. Teachers who foster connections with concepts they’ve learned or objects they’ve examined at the Museum take that sense of discovery and excitement back to their classrooms. Their enthusiasm is contagious! 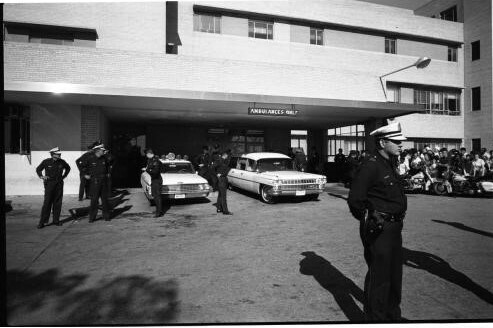 One of our other programs that’s very prescient today is our Civil Rights program, called “Resistance in Dallas: Civil Rights and Kennedy’s Legacy.” It focuses on a 28-day protest that occurred in 1964 in downtown Dallas, just months after the assassination of President Kennedy and just blocks from Dealey Plaza. It fascinates teachers and students to learn about Civil Rights events that took place right here at home. 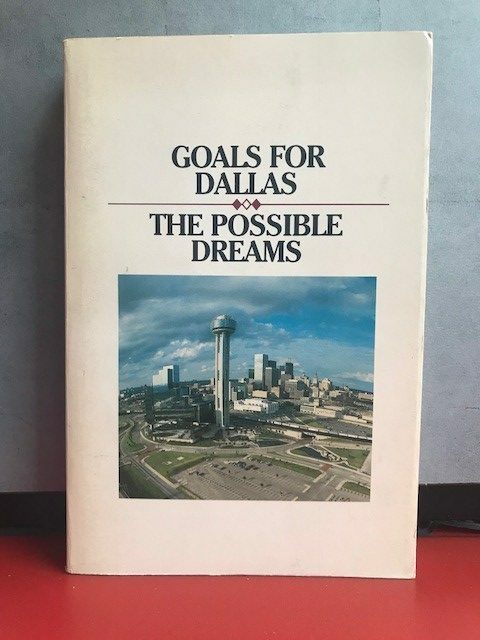 While the events in Selma, Alabama and Jackson, Mississippi are well-known, teachers often don’t connect Civil Rights with Dallas. It’s transformative for them to see the actual images that document what happened. During teacher workshops, when I get the chance to bring out some of the more powerful artifacts in our collection, like the SCLC Handbook for Freedom Army Recruits, I try to inspire teachers to see themselves as a key influencer in their students’ lives. They are not just teaching the students in front of them, but their students’ children. When students are taught in a way that impacts and inspires them, they will then teach their own children. It is my job, as a museum educator with access to a vast array of primary sources, to engage and connect teachers to the available resources, then inspire them to use them in a creative and effective way. I want to inspire teachers to teach ideals that I believe President Kennedy would have supported, ideals that are part of his legacy. If you are a teacher and would like more information about our education programs at The Sixth Floor Museum, contact Ani Simmons at education@jfk.org. Teachers! Congrats on surviving the first week back to school with students! As a former teacher, I know this is always a great week of meeting new students and an exhausting week as you look ahead to the next 180 days of instruction. Here at The Sixth Floor Museum, we have lots of resources to enhance your school year and hopefully, you’ll be able to take advantage of some of them. 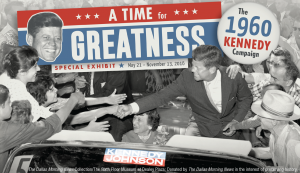 In addition to our permanent exhibit, which tells the story of President Kennedy’s assassination and its impact, we have 2 special temporary exhibits this year that are certain to fit into your curriculum. Of course, you can book a school visit to the Museum at anytime. It’s the final few months of our special election year exhibit about one of the closest elections in U.S. history, Kennedy’s victory over Richard Nixon in 1960. Don’t miss this in-depth look at what is often considered to be the first modern day presidential campaign—noted for being the first election to feature a televised debate, the first to include all 50 states and the first to elect a president born in the 20th century. Check out our TEK-aligned education program and lesson plans available at JFK.org/ATimeForGreatness, and don’t forget to book your trip to visit the exhibit before it closes after Election Day! This special spring exhibit marks the 225th Anniversary of the ratification of the Bill of Rights. Students will learn about how the first 10 amendments came to be and how each amendment protects our citizens. Amending America: The Bill of Rights was created by the National Archives and Records Administration, Washington, D.C. The national tour is presented in part by AT&T, History®, Seedlings Foundation, and the National Archives Foundation. Stay tuned for public and education programs and pre/post-visit lesson information! Most programs are available 3 ways: at the Museum, at your school or via distance learning (DL) and range in price from $50 to $125. Visit JFK.org/education to see detailed program information and book today! 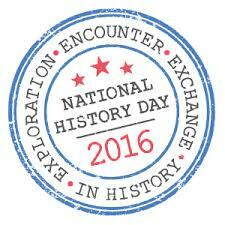 Do you have a student (or several) interested in being part of the National History Day competition in 2017? The theme, Taking a Stand in History, has lots of connection possibilities to The Sixth Floor Museum! Find out more by checking out our FREE research library, the Reading Room, and the topical resource guides that our librarian has created just for you and your students who are interested in several popular topics, including: Civil Rights, Cuba, Presidents Kennedy and Johnson, reporters, investigators and eyewitnesses to the Kennedy assassination and many more! We offer teacher workshops mainly in the summer months; however, with special temporary exhibits we often offer teacher previews and workshops on the day before of the first day of the exhibit opening! Join our teacher email list and be the first to know about these special workshops and other special events throughout the year. Email education@jfk.org and ask to be put on the educator email list! Did you know, as an educator, you can get discounted admission to the Museum with a valid educator ID? See President Kennedy’s story for just $8.50 year-round! As a bonus, educators also get a 10% discount at the Museum Store+Café! It is my pleasure to do what I can to make your job easier! Let me know how I can help! Please feel free to contact me at education@jfk.org or visit JFK.org/education anytime for more information about all we have to offer! Have a great year and we’ll see you at the museum! This week, The Sixth Floor Museum partnered with our friends at 29 Pieces for a teacher workshop on respect and presidential elections. 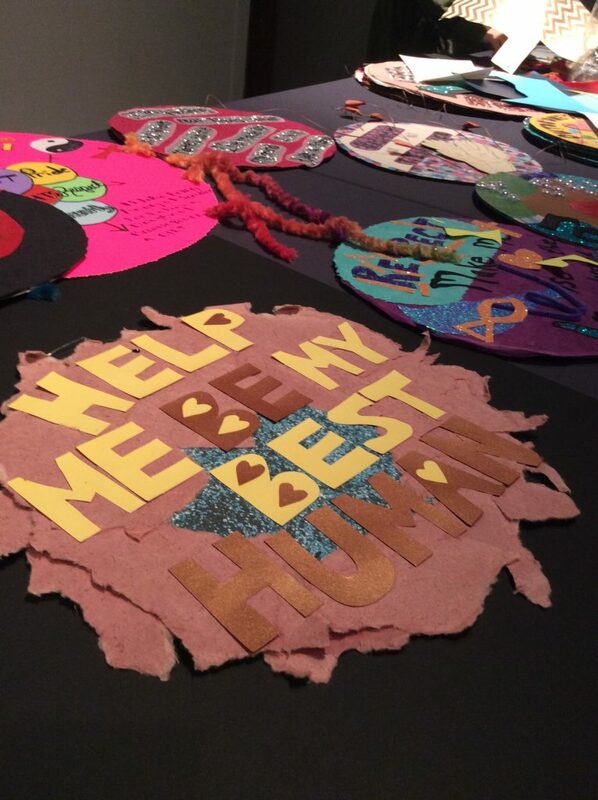 29 Pieces took the educators through their Respect Project lesson and even gave the teachers a chance to participate in the Respect Art Project, which will place 25,000 pieces of art about compassion and respect around Dallas during the 2016 election season. We sat down with Karen Blessen, founder of 29 Pieces, to talk about our partnership and an exciting upcoming project. Q: Can you tell me a little about the workshop today? 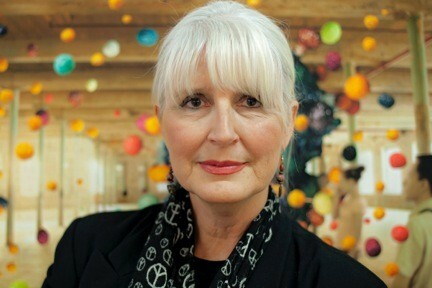 A: Today at The Sixth Floor Museum, we are doing a workshop on the Dallas Respect Project. We are going to ask everyone to take the lesson back to their classes and do it with their kids. They will create circular posters on the theme of respect and compassion, and then we’ll ask them to take their artwork out into the community and display it starting September 16, so the whole city is covered with these messages about respect and compassion. Q: Why do you think respect and compassion is so important to talk about with both students and teachers, especially now? A: Well, they are always important. At this moment in time, there are so many emotions igniting and there are so many discussions going on, whether it’s along racial lines, religious lines, whether it’s about immigration or gender. There are so many thoughts about me versus them. One of the ways to unite is to learn to respect each other. And by respect, I don’t mean like what your mother used to say, you have to respect me, I mean listening to each other, being open to take it in. Teachers create art for the Respect Art Project at a teacher workshop at The Sixth Floor Museum. Q: Why did you decide to partner with the Museum? A: There’s a really deep reason that we make such great partners, with the Dallas Love Project and now with the Respect Project and the Pulitzer Centennial event in September. At the core of each of our organizations is a tragic event. 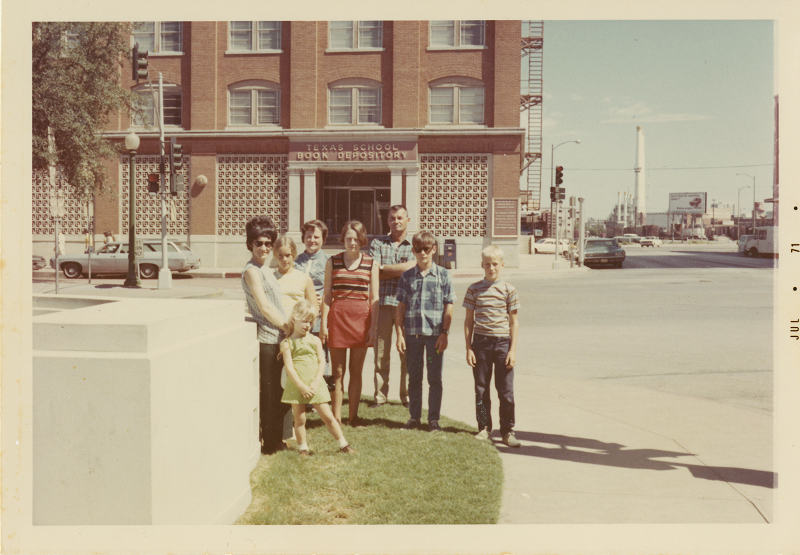 Of course the Kennedy assassination for the Museum, which rocked the whole world. For 29 Pieces, it was a young man who was shot and killed in front of my home in Lakewood in August of 2000. It was a senseless killing over an attempted carjacking that barely got any media attention. So it didn’t rock the whole world, but it rocked the world of all the people who knew the victim, the shooter and the people in my neighborhood. I think both of our organizations exist as ways to confront, talk about, deal with tragedy and try to make it a less violent and more peaceful world. Q: You mentioned our joint event in September. Tell us a little about that. A: On September 21, International Day of Peace, The Sixth Floor Museum and 29 Pieces will be coming together to host a panel discussion with some of the most decorated combat photographers alive, and it will be part of the Pulitzer Centennial. We will have five Pulitzer Prize-winning photographers and one photographer from Israel who won an international womens photography award. We’re coming together to talk about the illusion and disillusion of war, and we’re honoring these photographers who have witnessed this and ask them why they put themselves in harm’s way, what has it done to them, what effect it’s had on their own lives and what wisdom they’ve gleaned from their experiences that they can share. A: They are so willing and so courageous in a way that I could never be. They’re willing to into the volcano to really make all of us see what’s going on in the world. They’re living witnesses to what we maybe never would see or want to see, unless they make us. They’re telling the story, which is part of both of our missions as well. Q: Why is it important for our organizations like ours to come together to work on projects like these? A: I think it’s really important that organizations come together to work on topical projects because there’s a strength in joining forces. It displays a unity publicly, it’s not just one of us that’s concerned about these issues, it’s all of us. Just that demonstration is a powerful statement. Stay tuned to JFK.org/events for more information about our International Day of Peace event!